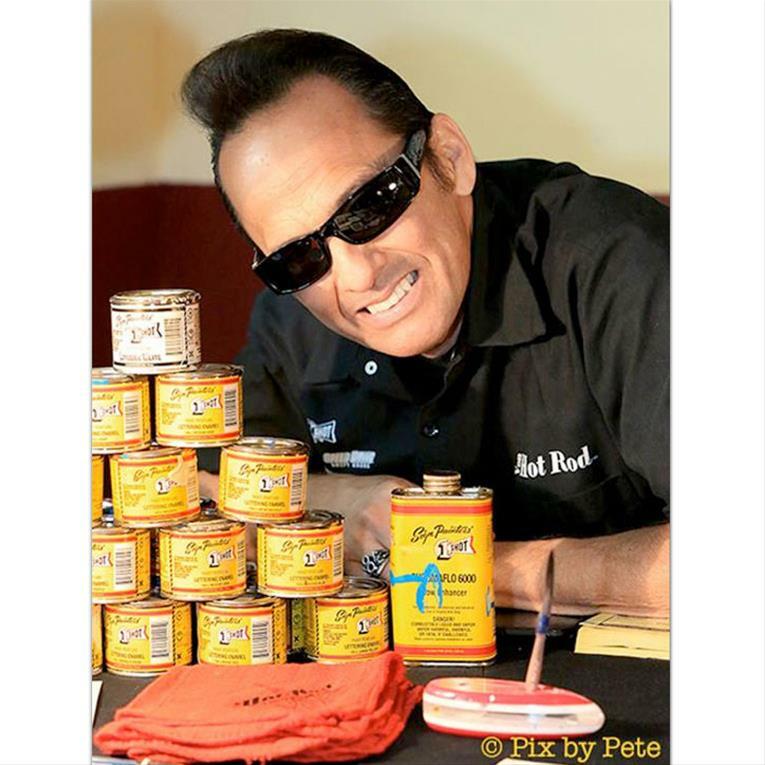 World renowned pinstriper from the USA, Von Hot Rod, will be in residence at GreazeFest throughout the festivals in Brisbane and Melbourne. Born in California, Von Hot Rod grew up around hot rods and racing cars. His dad Ben, “The Rod Father”, was a sprint car driver and drag racer from the 50s and 60s. When Von was born his father stopped racing and started building kustom cars and hot rods. That’s when Von caught the hot rodding bug, and he has spent his life immersed in the California hot rod scene. For the past two decades Von Hot Rod has dedicated his career to professional pinstriping, kustom art and kustom kulture events, including Von Hot Rod’s Pinstriper Reunion and Von Hot Rod’s Pinstriping Circus, a traveling show that helps raise money for charities. With a list of accolades, endorsements and hot rod products as long as your arm, the Von Hot Rod name has become synonymous with what’s cool and old school. You can have your pieces striped at GreazeFest by Von Hot Rod. Type of pieces to bring - small and portable eg shelf ornaments, tool boxes, bowling pins, instruments, wallets, shoes etc.